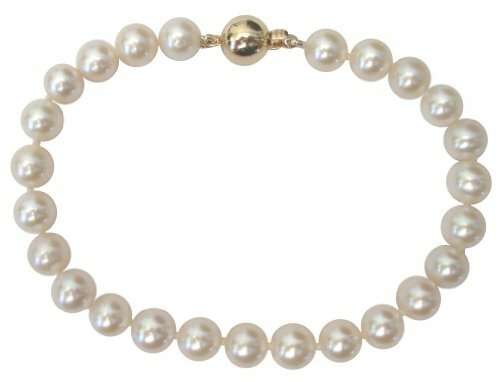 A gorgeous, classic single strand 6-7mm Cultured Pearl bracelet with a pretty 14ct yellow gold clasp - elegant, timeless and excellent quality. This bracelet is both contemporary and classic to suit all ages and would make a perfect gift for any occasion. Ideal for: fashion, birthdays, formal, valentines, wedding + anniversaries. It comes in a dainty faux silk pouch with a gift card and care of your Cultured Pearls guide. We pride ourselves on our excellent service, quality and speed of delivery. All our Cultured Pearl jewellery features genuine Cultured Pearls which are carefully selected by us.